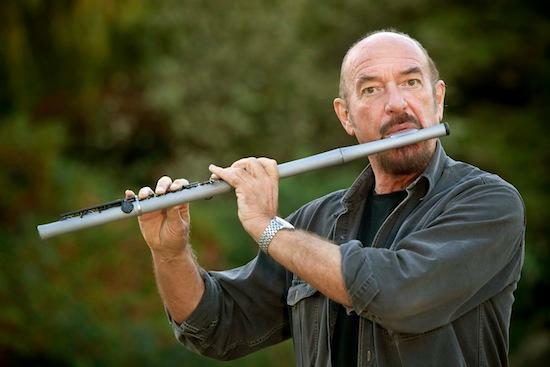 Ian Anderson has, on plenty of occasions over the years, been open and detailed about the fact he never really fit in with the Sixties. A general abstainer from drugs, womanising and political activism, he is perhaps unique from the era in creating an institution unto himself with Jethro Tull, the evolving artistic crusade that has taken him through swirling eccentricity, superbly satisfying heavy rock and the challenging complexities of prog. And that refusal to fit into any wider trends is reflected in his 13 choices here. Not only do we have that other great Sixties weirdo Roy Harper along with the more confronting Captain Beefheart, but such bizarrely mainstream selections as Meat Loaf and Alfie Boe. The other result of Anderson calmly, and as an observer, negotiating the Sixties was that he never addled himself or burnt himself out with the excesses of the day. Therefore, he is startlingly eloquent as he approaches his 66th birthday, somewhat formidable in conversation yet witty and engaged, and with a polymath’s cultural knowledge. So despite producing one of the decade’s finest albums in Stand Up as well as one of the most recognisable singles in ‘Living In The Past’, he is perhaps not a typical example of that age. “I think most of us are products not so much of the time we’re born in, but more of genetics and our parental upbringing,” he says. “I don’t think I would have been a very different character if I’d been born in the mid-1800s, except that I’d probably be dead because they didn’t have penicillin back then and I got peritonitis when I was eight. “We are much more creatures of our genetic propensity than most of us like to think about. We really do owe a lot to our mother, our father and our ancestors gone by. Anderson’s 13 albums were not chosen by casting his mind back through the decades to recall which records affected him the most. Instead, with typical pragmatism, he went by a process that makes these albums highly relevant to Anderson’s present. “I chose them by reference to the walk-in music that I play,” he says, referring to the waiting time before Jethro Tull appear on stage at concerts. “I’ve always chosen the music I think the audience would either like or ought to hear. People are sitting in their seats for ten minutes, half an hour or 45 minutes waiting for the act to come on stage, and it’s important that I’m not playing them the music that is the mindless choice of some monitor engineer or house technician.